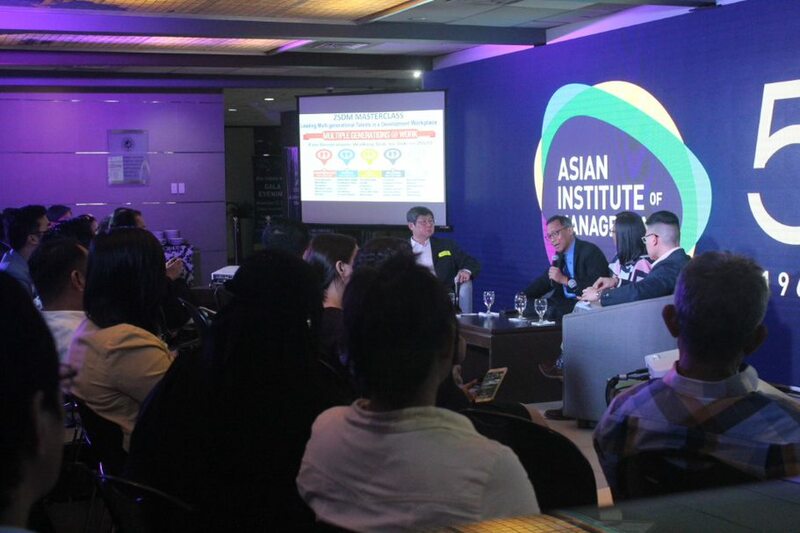 AIM Campus, Makati City - Last October 18, several members of the ZSDM MDM and DEP Alumni returned to AIM to re-connect with one another, look back at their best days as students, and take part in a Masterclass on how to lead multi-generational talents (Gen X, Baby Boomers, and Millennials) in a development workplace. The event was an initiative of ZSDM and School Head Professor Kenneth Hartigan-Go, who in his opening remarks provided alumni an overview of the future of the development sector. “The Development Sector will dramatically change over the next ten years, and it is important for all Development Managers to continuously update their knowledge on technology, sustainability, capacity building, and community-based approaches.”, said Prof Ken, taking note of the results from a recent Devex survey. 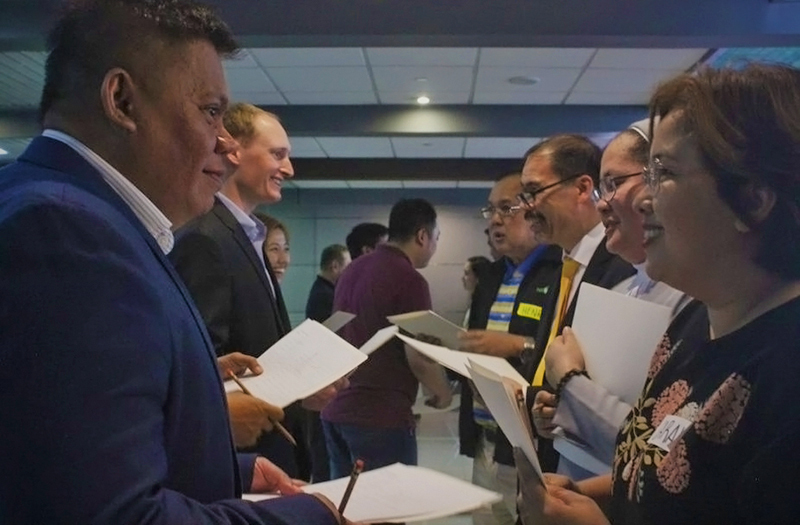 Afterwards he was joined by host and moderator Associate Dean Professor Jamil Francisco, and guest speakers Professor Dynah Basuil and Professor Juan Miguel Luz. The roundtable panel looked at perspectives in understanding different generations, particularly millennials and how people in the development sector can effectively harness and enhance these talents. Technology was agreed upon by the professors as one of the most important components to effective communication and collaboration. Prof Jammu, Prof Ken, Prof Dynah and Prof Mike cited examples of how technology has changed their lives as professors and as development professionals. Alumni and current MDM Students also took part in the discussion, sharing different experiences within their respective organizations. One of the alumni even proposed that instead of categorizing talents as multi-generational, we should understand the effective integration and enhancement of multi-intelligence abilities of talents. In his closing remarks, Professor Kenneth Hartigan-Go was ecstatic with the outcome of the Masterclass, and encouraged alumni to help ZSDM find the next generation of leaders in the Development Sector through referrals for the upcoming Masters in Development Management in January 2019, the Executive Masters in Disaster Risk and Crisis Management in May 2019, and our DEP Short programs. “I’m very proud of our students. It’s an honor to have helped develop MDM and DEP alumni who are now changing the world in their unique ways. I want to extend the opportunity of learning to those who want to be in the development sector, so let’s work together towards building an even stronger ZSDM Family of professionals, alumni, and students.”, urged Professor Ken.